Q: How do I find out where the person is detained/held in jail or have to post an immigration bond? A: Please contact us as immediately with the Alien Registration number of the person being detained. We will check on his/her status with immigration services and get back to you, as soon as possible. Q: What is an alien registration number? A: Alien Registration Number (“A” Number) or Alien Number is a unique seven- , eight- or nine-digit number assigned to a noncitizen at the time his or her A-file is created. Q: How soon can the detained person be bonded out or released after they have been in custody and the bond is set? A: In most cases, the detained person is released the same day. Q: Do I have to come to your office to post the bond? A: No, in most cases the documents needed can be faxed or sent via overnight delivery. Q: Do I have to pay any fees? A: We only charge a minimal fee if you use us to post a bond. There is no cost for talking to us about your case. Q: When do I have to pay the bond fee? A: The bond fee is due after the bond paperwork has been completed. Q: Is the premium refundable? A: No. The immigration bond fee is fully earned once the bond is posted and detainee is released. Q: Do I have to put up any collateral? A: Upon review of your bond application, we will determine your collateral options and explain them to you. A: Collateral is anything of value that is placed with the surety agent. Q: What can I use for collateral? A: Collateral can be real estate, such as your house, rental property, land or things such as bank CDs, stocks, bonds, credit cards. In some cases, collateral could be cars, trucks, motorcycles and airplanes. Q: If the person is detained in a different city, how will they get home? A: You must provide us with the travel arrangements made, so that we can relay the message to the detained alien. Q: What happens after the bond is posted and the person released? A: Upon release, it is your responsibility that the person shows up for every court date set by DHS-ICE (immigration). Failure to show up at these court hearings will result in the bond being breached. Q: If I have put up collateral, when do I get it back? A: Your collateral money is returned when the court orders that the case is resolved and the immigration bond is cancelled with immigration services. Q: How do I know when the Defendant has to go to Court? A: Immigration services will notify the defendant by mail of their court dates. In most cases, the courts will notify the defendant at least a few weeks before the court date. It is then your responsibility to make sure the defendant knows about the court date. NO pressure and NO hassles. Low minimal one time fee for posting bond. Our immigration bonding services are throughout the USA including Puerto Rico & US Virgin Islands. We have over 40 years of immigration bonding experience. 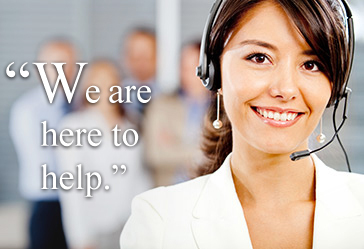 Hassle free, Quick, Reliable and for most cases – same day service.